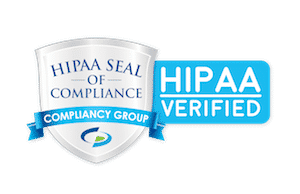 Learn how Managed Security Service Providers work with Compliancy Group to satisfy the full regulation, and simplify HIPAA compliance. HIPAA compliance and security go hand-in-hand to protect sensitive healthcare information for providers and their patients. Under federal HIPAA regulation, you are required to have specific policies in place to protect PHI, covering both the administrative standards of the Privacy Rule and the cyber-security requirements of Security Rule. Using an IT Provider to ensure you address required security standards, as well as an effective compliance solution to handle the administrative and privacy aspects, will give your business the tools you need to keep your data safe! Your HIPAA compliance is more than just making sure your PHI is safe and secure. That’s why we have teamed up with Compliancy Group to offer a complete solution for your HIPAA compliance and security needs. The Guard is a cloud based HIPAA software that will give you everything you need to become compliant. You can address your administrative requirements and gain access to an IT provider to handle the rest of your cyber-security safeguards. Don’t just satisfy parts of the regulation–give your business complete confidence in your HIPAA compliance plan with The Guard. How do we help with compliance and security? Let us handle your compliance and security so you can focus on running your business!